The birds in the papers are believed to represent good fortune and harmony. The graceful crane is a common emblem in oriental paintings and symbolizes longevity as well as wisdom. Two cranes flying towards the sun represent ambition, a crane among clouds represent nobility and a pair of cranes flying together represent a wish for a long harmonious life. These traditional design elements have been included within the oriental inspired murals, to achieve an authenticity in your home. 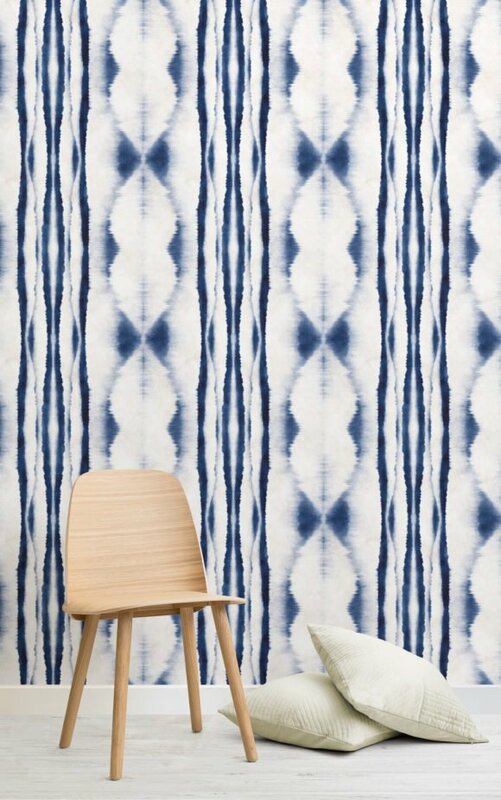 The designs all feature genuine colour combinations and intricate details derived from traditional art of the region, but with a modern MuralsWallpaper twist. 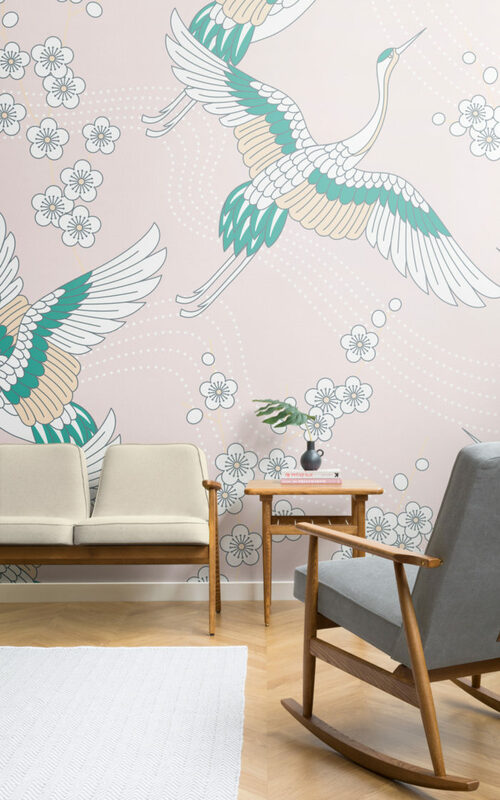 Implementing an oriental inspired bird wallpaper into your home will draw positive energy into your space and help you find your zen. When styling murals and wallpapers rich in colour and detail; such as the oriental bird wallpapers; it is important to weave a theme into your interiors to tie the room together. Styling minimally is always a good idea when incorporating a busy piece of art into your room. Pairing the papers with simple but impactful furniture that contrast against the colour of the designs, will compliment the character of the space and add a real sense of flair. 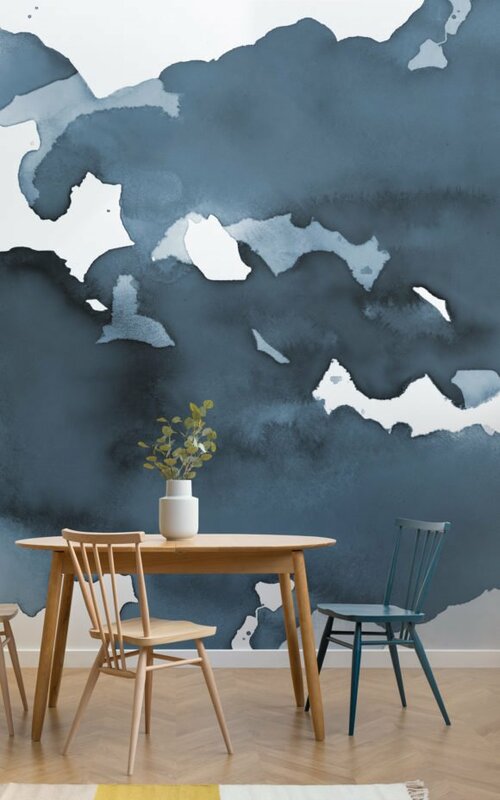 We have styled these artistic murals with sophisticated and simple pieces of furniture, that add to the clean, tranquil feel of the space. We have also added a few oriental style accessories to the space to help create a home sanctuary that feels complete. The teapot set from John Lewis adds a homely element of authenticity alongside the Green and Pink Oriental Sky paper, whilst accents of gold next to the Dark Sky Oriental paper brings out the opulence of the mural, for a completely different feel. 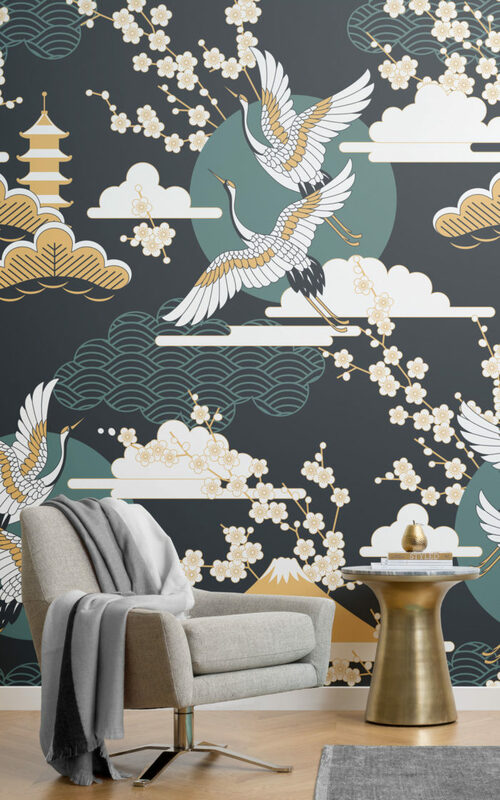 Adding a hint of floral or botanical is another way of styling your space oriental, and paired with the Grace Green Cranes mural, it adds a relaxed, nature inspired feeling that ultimately will create a space of complete zen. 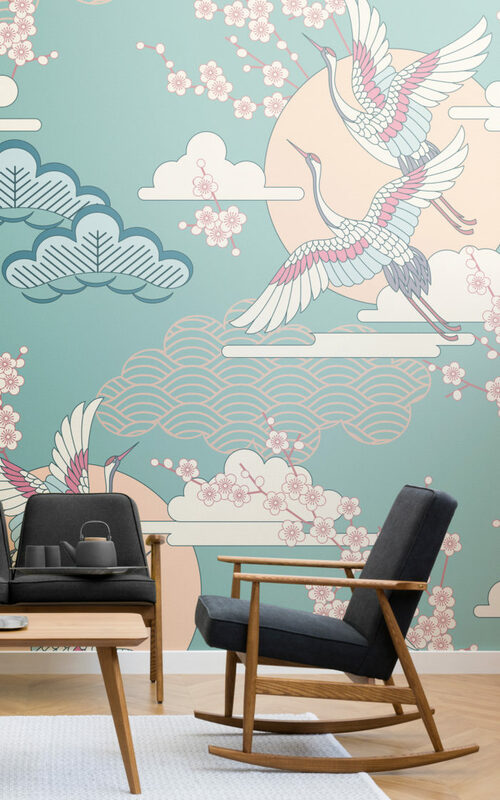 The oriental inspired bird wallpapers are truly beautiful to look at, inspired by designs and motifs enjoyed for generations in East Asia. 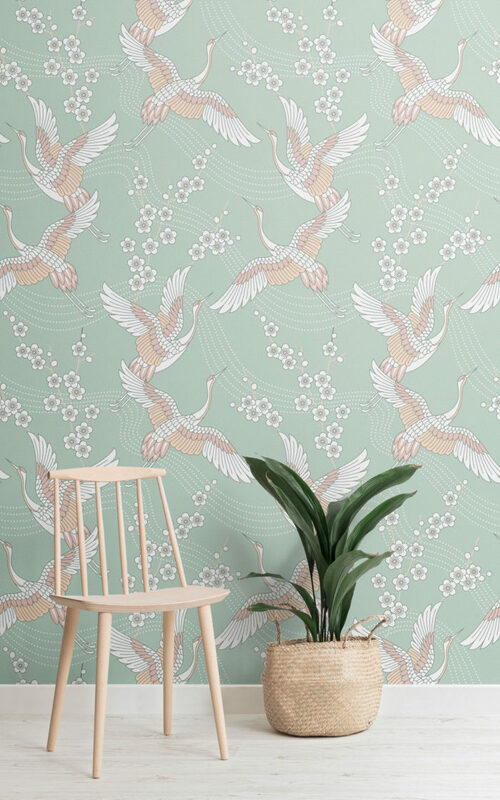 With the ancient history and beliefs of the East Asian culture, and with the good fortune the cranes are believed to carry with them, these designs will flourish in your home and spread positive energy throughout your room.